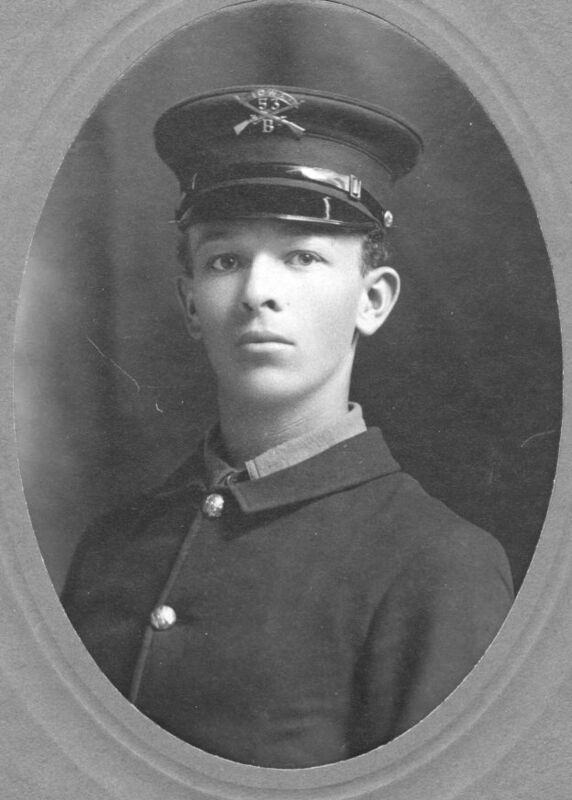 53rd Infantry, Iowa National Guard, c. 1905. The cap is the 1902 model, but the coat is still the old style from the 1890s. 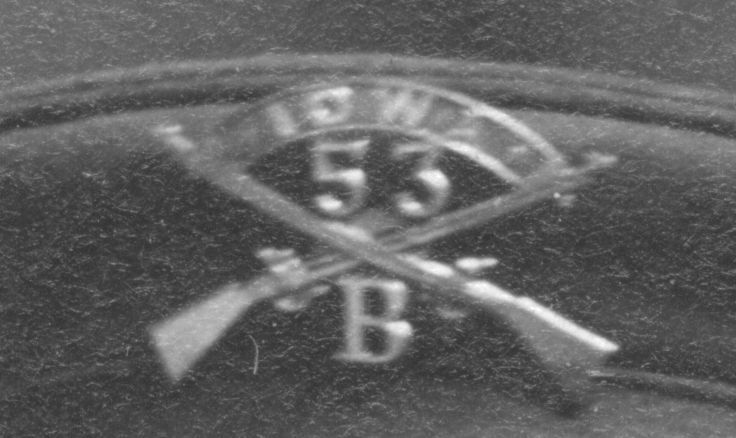 Iowa was unique in numbering its infantry regiments in a sequence from the 48 raised during the Civil War, through 4 raised for the Spanish-American War, and continuing with the 53rd through 56th of the pre-World War I National Guard. 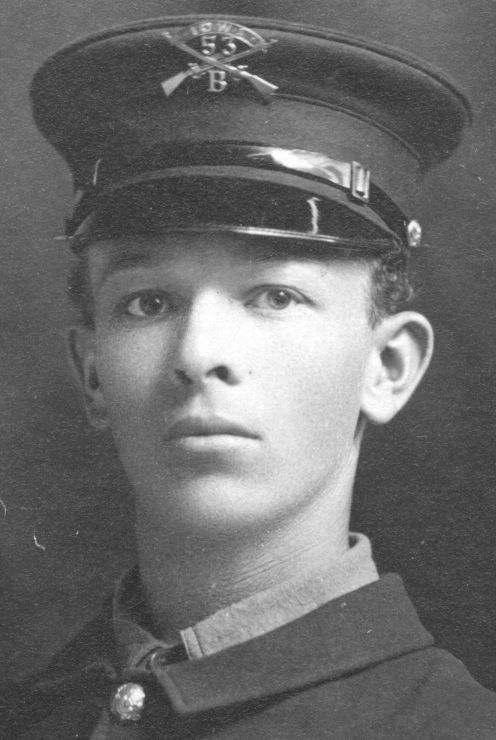 In 1914 Company B of the 53rd was stationed in Waterloo, in eastern Iowa. Page by Mark Conrad, 2011.